I only saw Simon Budman – or Si as everyone knew him – really angry and indignant one time. With all he’d been through in his life, he had every right to be chronically embittered. Instead, I always knew him to be empathic, erudite and brilliant and a guy that never wavered from wanting to do good and be fair and humane to others, especially people with pain, drug addiction and other mental health difficulties. He suffered a major cardiac event as a young man and had complications of it to contend with from then on. He was lucky to have survived and we have been lucky to have him as long as we did, until he passed away way too soon last week. You see, Si’s beloved wife Susan suffered with Parkinson’s disease which began when she too was way too young – something else Si could have been chronically embittered about – watching the pain and suffering of his beloved partner. And it was in this context when I saw Si angry and indignant. I was sitting next to him at a conference and the panel discussion and lectures were portraying the doctor patient relationship in opioid therapy as us against them, the providers worried about protecting themselves over the duty they had to their patients. The conversation was going from bad to worse, taking on a cynical and even more negative tone. Si turned beet red. He rose, turned and walked out. Susan had been a pain patient and Si couldn’t stand to listen to patients being denigrated in the fashion that was coming from the stage. This is what I loved so much about Si – his passion. Of course, I admired and was inspired by his intellect, the novelty of his thought, his academic accomplishments and “cred”, his partnership and productivity with the also extremely brilliant Steve Butler, all of it. I only said 100 times when looking at their work – wow I wish I had thought of that. But Si’s commitment to patients is what anchored everything he did and so his work never became unmoored nor could it ever become purely academic mumbo jumbo. Inflexxion and Budman/Butler’s work was always as practical as it was brilliant, as useful as it was novel, as elegantly entrepreneurial as it was ingenuous. Si was a superstar in the psychotherapy world before I ever knew him as a pain colleague. His book and teachings on brief psychotherapy were required reading in my training. This was classic Si – egalitarian, practical, patient-focused and entrepreneurial (he traveled the world teaching the principles of brief therapy). I just spoke to Si a week ago. Looking back over the text string I had actually said to him, “Si, your guys’ work inspires me.” I don’t recall what moved me to say it then, but I am glad I did. In these times of conflict over the availability of pain therapy, we have lost one of our smartest, fairest, most reliable, credible and unique voices. I miss you already Si. We will all try to carry the torch but it will be less brilliant without you. Dr. Steve Passik has a 25 year academic clinical and research career principally at Memorial Sloan Kettering Cancer Center in NYC and has over 200 publications to his credit. 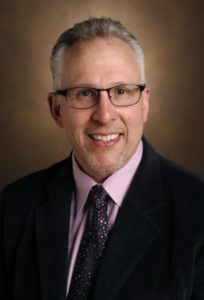 Dr. Passik has contributed here previously and we are grateful to welcome him back for this a heartwarming tribute to one of our esteemed colleagues in the pain space. Thank you Steve! Dr. Budman helped me through a difficult transitional period in 1982. His presence and patience gave me a peaceful hour in my week, and allowed me to find a space that I can still call upon. He loaned me one of his textbooks about existential psychology. I was surprised and flattered…perhaps even proud! I felt it was an act that conveyed his confidence in my ability to help myself and to separate my functioning problems from the more abstract concerns/realities that I came with. He was compassionate and skilled. I am so thankful for those sessions, and for the help they still are to me. I never had the privilege or honor of meeting “Si” but I now look forward to getting to know him by reading his works. Thank you Steve for this introduction. Carry the torch, I will. I am deeply shocked and saddened and that which I was fretting moments ago has suddenly become unimportant. Thank you Dr. Passik for your lovely tribute. Simon was a joy to know though I was on the fringe watching when the SOAPP and COMM were developed. I learned tremendously as I listened to and watched how innovation occurred. Solace and peace to all who grieve and celebrate this life. Very well spoken, Steve. Yes, his work will carry on! I had the honor of working with Dr. Budman at conferences over the years and I always valued highly his wisdom and friendliness. He was a brilliant scientist and a thoughtful and decent colleague who will be missed by many. Thanks, Steve, for such a nice eulogy. May he rest in peace. Thanks for sharing this tribute. Si Budman was a class act and a true leader/innovator in pain management – from the development of patient opioid risk assessment tools through to epidemiology monitoring. He will be missed. He was truly a gentleman and a brilliant scholar. Thank you Steve for capturing Simon so beautifully. Though I didn’t work closely with him, I always felt his presence in our field as a bright and steady light. I am so sorry to learn of his passing, a loss to us all in a difficult time. My God! I’m sorry to hear about Si! Nice tribute, Steve.